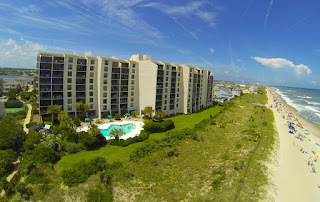 Looking for a unique oceanfront condo perfect for life at Wrightsville Beach? 95 S Lumina Ave Unit 1G in Station One fits the bill. 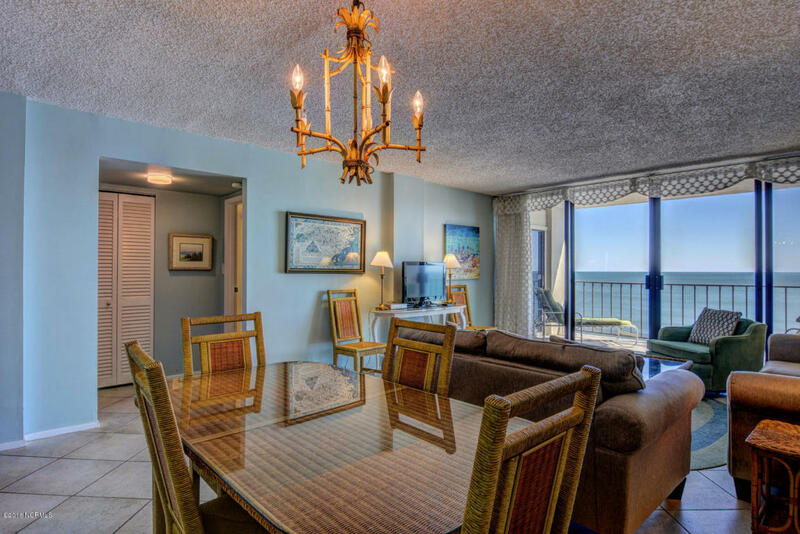 This meticulously maintained, stylishly furnished, and well-appointed oceanfront condo features 2 bedrooms, 2 full baths and plenty of updates. 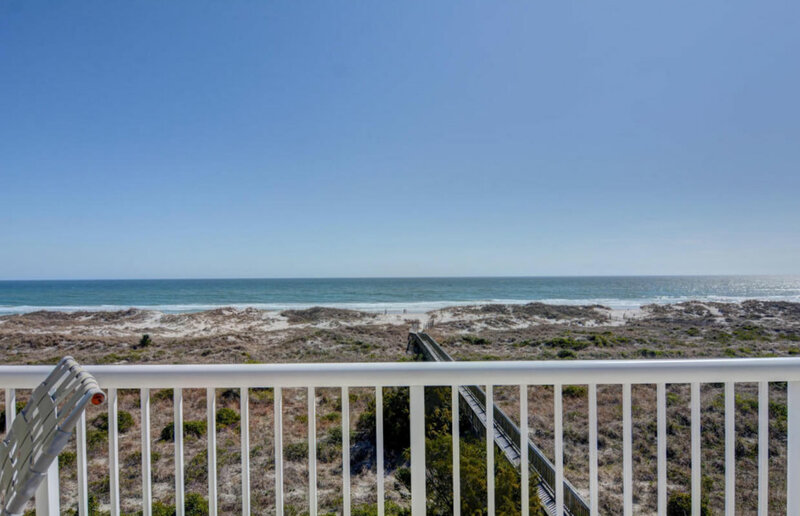 The beach-friendly ceramic tile flooring throughout entry foyer, kitchen, living and dining areas stands up to sand and salt water while still being easy on bare feet. In the living and dining area, the custom wainscoting and elegant trim package accentuates the exposed ceiling beams for an added depth and charm not found in most condos. 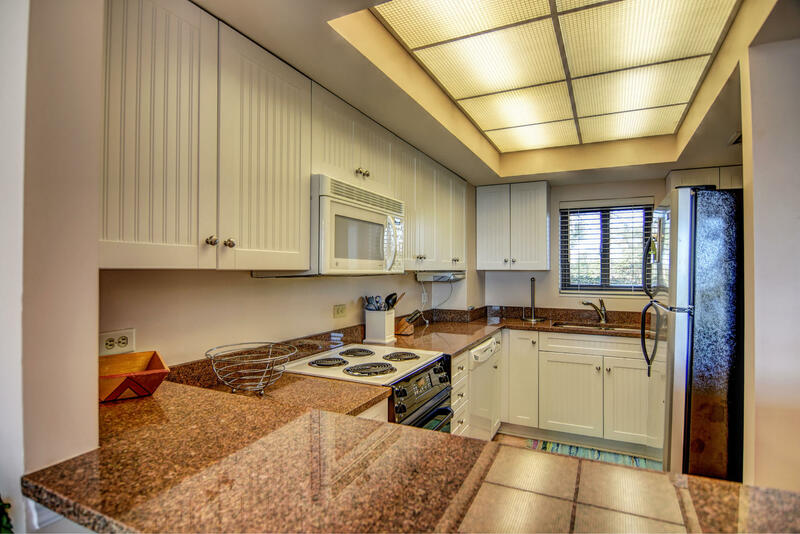 While the top shelf kitchen enhancements include granite counters, tile flooring, and elegant cabinetry. Unique to Station One, condo 1G also boasts private stack washer/dryer for added convenience. Oceanfront master suite includes private master bath and both the master suite and living area open via sliders to covered oceanfront balcony overlooking lush grounds and swimming pool. 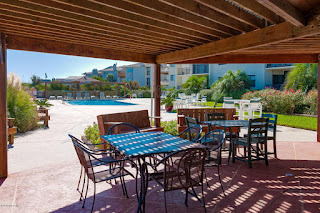 Great location to view family or friends enjoying the pool. 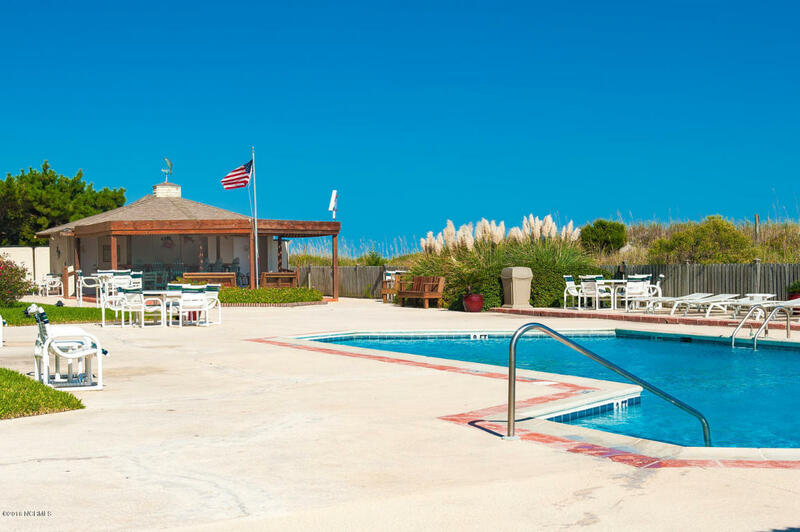 Station One amenity package: oceanfront pool, clubhouse, tennis, elevator service, secure entry, on-site management & maintenance, and more. View additional photos and property details here. 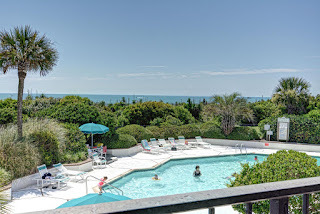 The latest report from real estate data tracker Trulia revealed that listing prices in the Wrightsville Beach area have been slightly lower than this time last year. 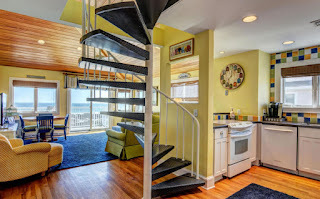 For house hunters this is positive news as we sail into our busy spring season! Of course any savvy house hunter knows that location is everything and most "locations" can't hold a candle to oceanfront. 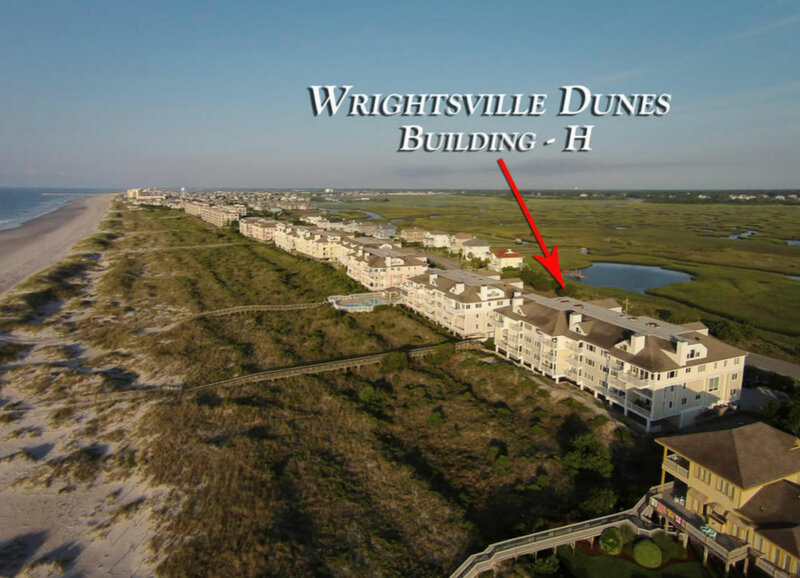 Perhaps it is time to consider one of our most desirable listings: Wrightsville Dunes, Unit#3-F, located at 2514 N. Lumina Avenue. The 3 bedroom, 2 bath condo is not only oceanfront, it also has sweeping views of the surrounding saltmarsh. Tucked away on the north end of the island where peace and tranquility prevail, this top floor end unit will certainly not be on the market for long. 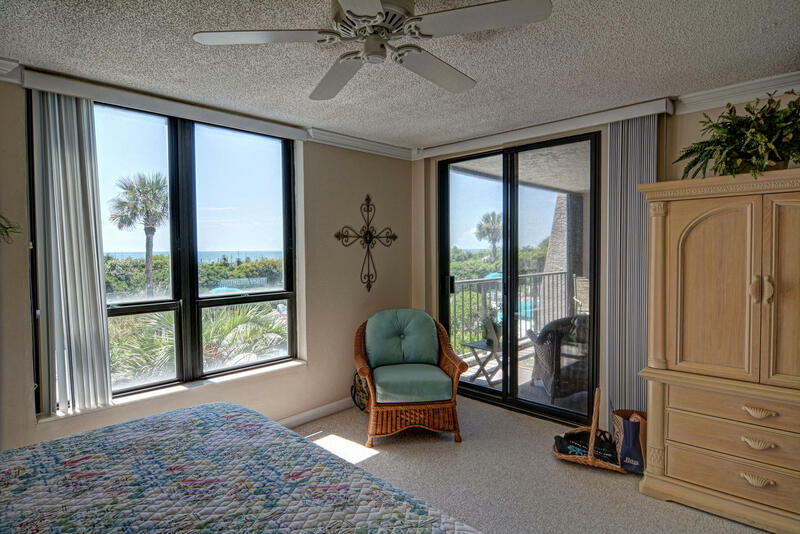 Thanks to the fact that it is an end unit, there is plenty of energizing natural light. The views are truly spectacular. 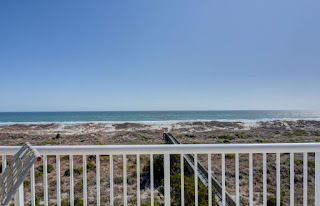 From the front of the home, there's the glistening Atlantic, and to the back, a nature lover's delight: the saltmarsh that is home to an abundance of wildlife. An open floor plan and classic interior features enhance the spacious first floor. Wood floors, white-washed wainscotting and a vaulted, polished beam ceiling convey a cheerful ambiance. Since glass sliders open directly onto an oceanfront deck, it's hard to be anything except cheerful! The unit's updated kitchen is filled with all of those must-haves that today's discriminating buyers seek. Crisp white appliances and cabinetry, a large pass-through window, easy to clean tiled backsplashes and a roomy pantry make it a pleasure to use. 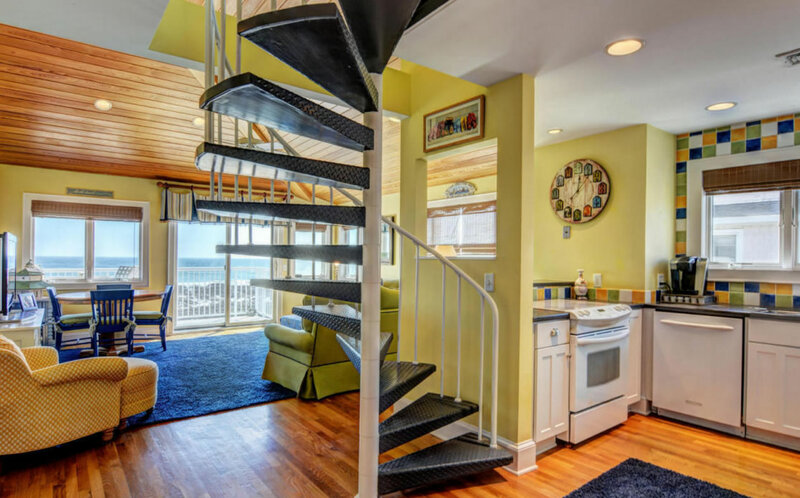 A spiral staircase leads up to the next level. The master and two other bedrooms all have built-in storage and large windows. 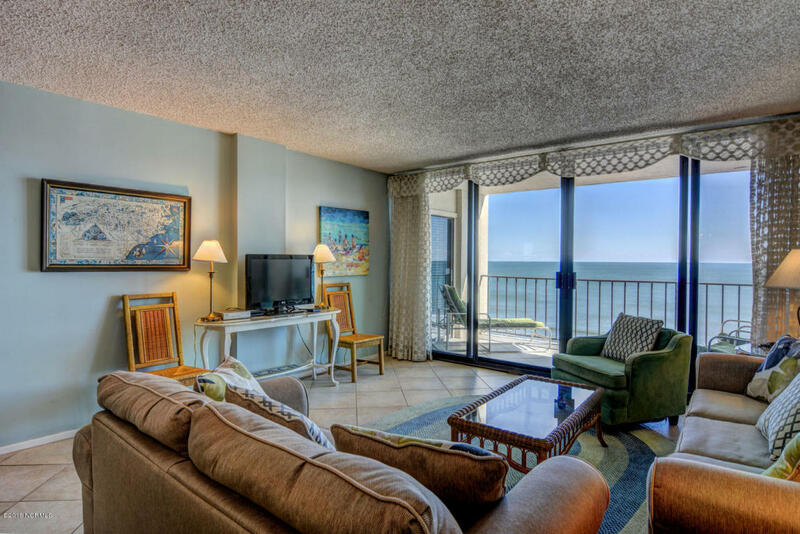 The condo's master suite faces both west and soundside, and offers a ringside seat to each evening sunset. Of course one of the bedroom spaces would be ideal for a home office or media room. Along with its unbeatable north end location, Wrightsville Dunes boasts enviable amenities. There are two oceanfront swimming pools, a tennis court and several private walkways to the beach. 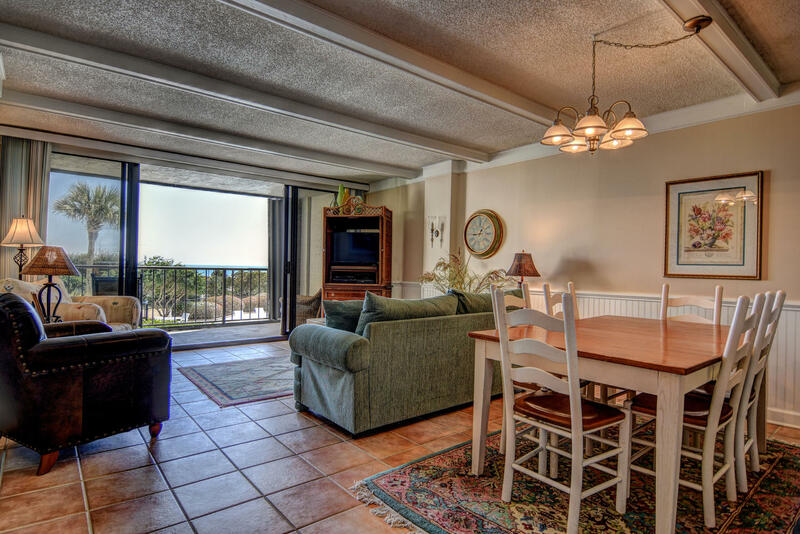 When you'd like to see this property in person, please contact one of our experienced agents! 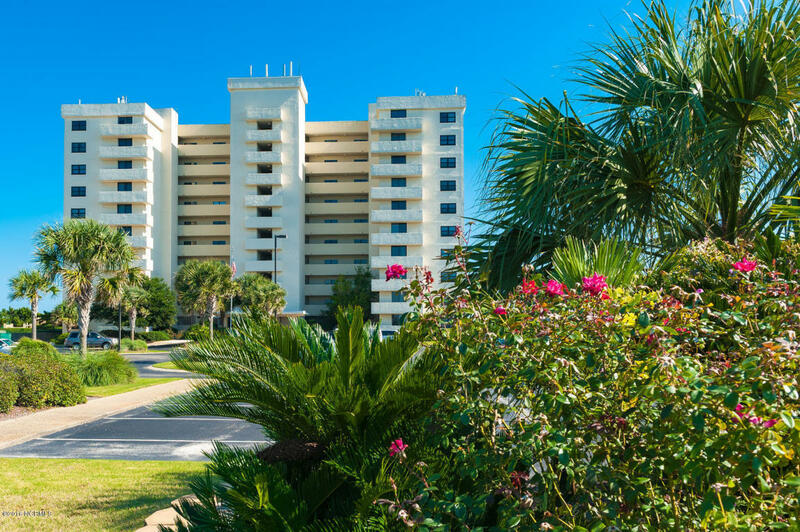 Whether you are looking for a turn-key primary residence, second home or investment property, look no further than 1704 N Lumina Ave Unit 7E, located in The Islander Condominiums! 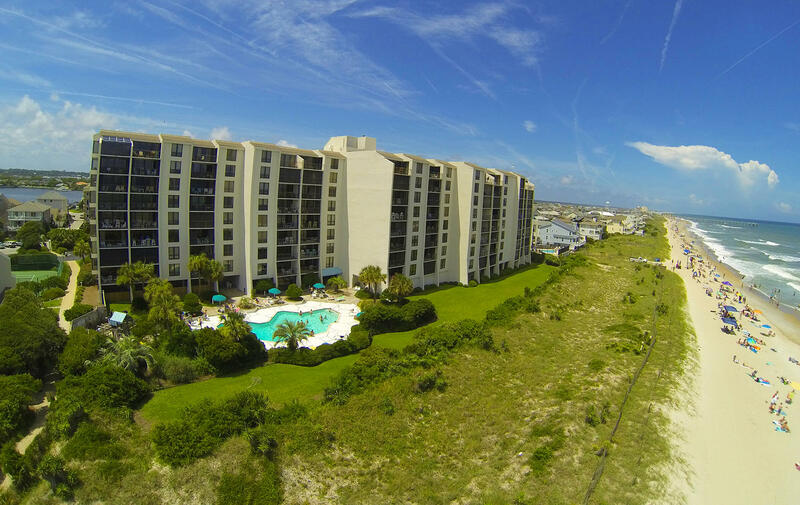 This exceptional light filled 2 bedroom, 2 full bath oceanfront condo is now available at The Islander in Wrightsville Beach, NC. The 7th level location provides expansive vistas of Wrightsville Beach's famed white sandy beach and beautiful blue ocean waters. Sit on the covered oceanfront balcony and enjoy spectacular sunrises, stargazing, views of passing boats & playful dolphins all year long. The balcony opens via sliders to spacious oceanfront living area that lives much larger than it measures. Beach friendly ceramic tile flooring flows through living area, kitchen, and foyer. 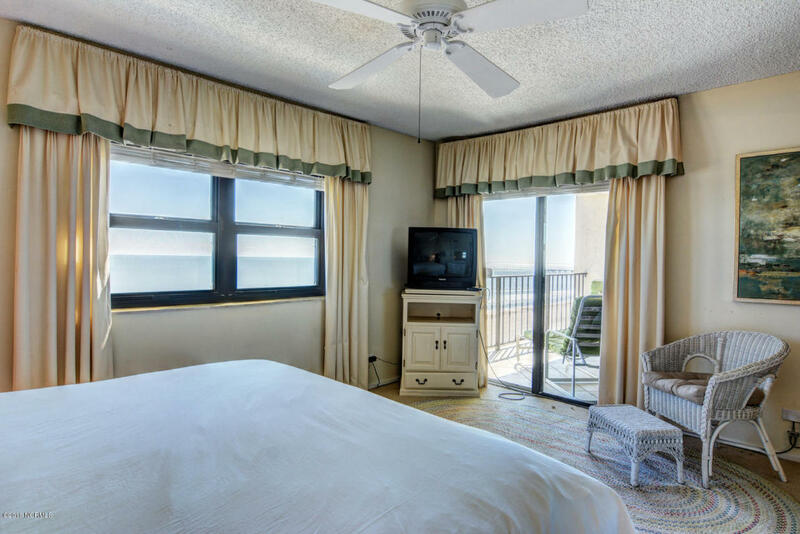 The oceanfront master suite frames picturesque views and includes private bath. While the guest bedroom offers great westerly sunset and water views. 1704 N Lumina Ave Unit 7E is fully furnished with few exceptions, and includes recent paint. 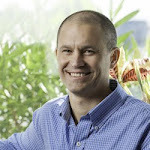 Ready for immediate turn-key primary, secondary, or investment rental use. 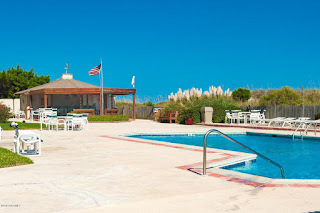 Islander owners & guests enjoy a first class amenity package including: oceanfront pool, cabanas, stainless bbq grilling area, tennis, elevator service, and more. For more details or to schedule your private showing, call Hardee Hunt and Williams today at 910-256-6998.